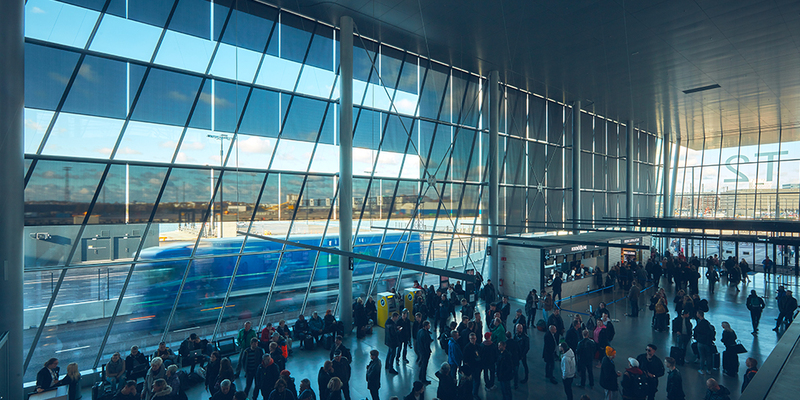 The new terminal at the West Port of Helsinki in Finland, designed to streamline and speed up transfers of the growing number of passengers, is now operational. 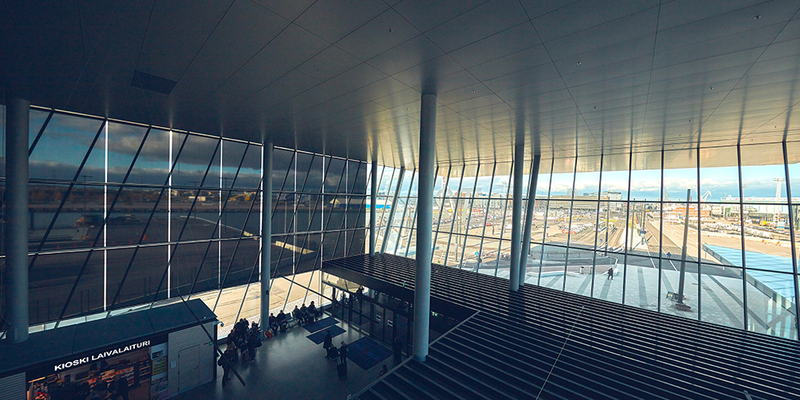 This building, placed facing the sea and fully glazed to give pride of place to natural light, had, in use, shown to suffer from strong direct and indirect glare. A real challenge, since it was necessary to find a solution that would simultaneously have minimal impact on the architecture and total efficiency. Successful bet for Mermet: thanks to its unequalled performance, the choice of its fabric SV 3% KoolblackTM fabric, the first indoor dark screen combining visual and thermal comfort, has once again naturally imposed itself in a country where, in summer, the sun never sets! Optimum indoor heat control with improved solar reflection (Rs = 29%).